Dr. Swearingen makes it a point that our office only uses the latest and most state-of-the art technology. Why? Because with it, he can guarantee that our patients’ care is always quick, precise, and comfortable. Sound like your kind of dental visit? With us, you can trust that you’re only getting the best of what 21st-century dentistry has to offer. Read on below to learn more about some of the great tools we use every day. Wouldn’t it be great if you could actually see what your dentist was talking about for a change? With our intraoral camera, now you can! 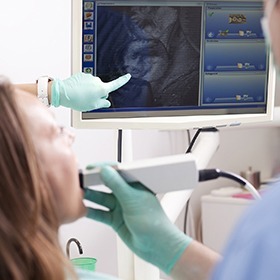 This small, pen-sized camera can be effortlessly maneuvered through the mouth to capture high-resolution images of the teeth and gums we can instantly display on a nearby monitor. 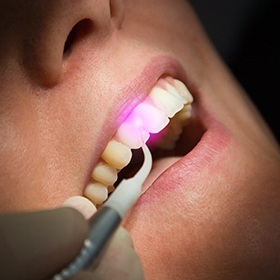 You’ll literally gain a whole new perspective on your smile, and it will also be much easier to understand why Dr. Swearingen might be recommending a certain treatment. 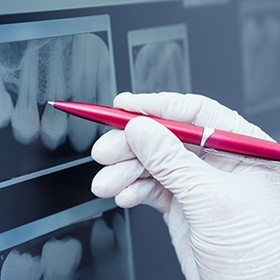 X-rays have been essential to dentistry for many years, and thanks to digital X-rays, they are now better than ever. They can create crystal-clear images in mere moments, and even better, they also expose our patients (and our team!) to 90% LESS radiation compared to traditional film-based X-rays. Also, because everything is digital, the images can be easily sent, stored, and displayed on a monitor for you to go over with your dentist. If you hate needles and shots, then you’ll love The Wand®. This is a computerized anesthesia administration device, which is just a fancy way of saying that it helps remove that little pinch before you go numb. It works by applying a small portion of anesthesia to an area before slowly administering the rest to create a completely painless experience. Most patients don’t feel a thing and are completely surprised when we say we’re done. 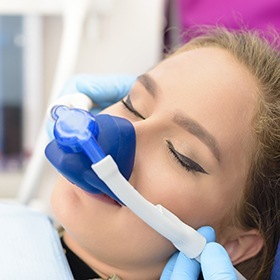 If you or your child feel nervous about going to the dentist, then nitrous oxide sedation can help you finally relax during your appointments. For this, all a patient has to do is inhale the colorless, odorless gas through a small nasal mask to achieve a feeling of lightness, happiness, and even euphoria in the chair. The mask will stay on for the entire visit, and when it’s removed, the gas’ effects wear off almost instantly, allowing a patient to go straight back to their day.